Victor Saul Navasky (July 5, 1932) is a professor in Columbia University's journalism school. He served first as a fellow at the Institute of Politics at Harvard's Kennedy School of Government and then as a senior fellow at the Freedom Forum Media Studies Center at Columbia University while on a year's leave of absence from The Nation. He is currently a Publisher emeritus with the magazine. Before The Nation he was an editor at TheNew York TimesMagazine and wrote a monthly column about the publishing business ("In Cold Print") for theNew York TimesBook Review. Navasky is the author of Kennedy Justice (Atheneum, 1977), the American Book Award winner Naming Names and, most recently, A Matter of Opinion. He is co-author with Christopher Cerf of The Experts Speak: The Definitive Compendium of Authoritative Misinformation, now in its second edition. Navasky has also served as a Guggenheim Fellow, a visiting scholar at the Russell Sage Foundation and Ferris Visiting Professor of Journalism at Princeton. He has taught at a number of colleges and universities and has contributed articles and reviews to numerous magazines and journals of opinion. He is a graduate of Yale Law School (1959) and Swarthmore College (1954), where he was Phi Beta Kappa with high honors in the social sciences. Navasky is also director of the George Delacorte Delacorte Center for Magazine Journalism at Columbia University and a regular commentator on the public radio program Marketplace. Navasky has three children and lives in New York City with his wife, Anne. He serves on the boards of the Authors Guild, PEN and the Committee to Protect Journalists. Every year since the mid 1960s the Indiana based Eugene V. Debs Foundation holds Eugene Debs Award Banquet in Terre Haute, to honor an approved social or labor activist. The 1996 honoree, was Victor Navasky. As of Oct 3 2009 Victor Navasky was listed as a Board Member of Defending Dissent. 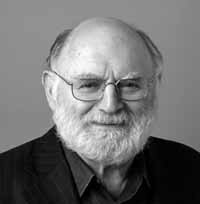 In 2009 Victor Navasky was listed as Publisher emeritus of The Nation. He was the magazine's editor from 1978 to 1995 and publisher and editorial director from 1995 to 2005. Navasky is a member of The Nation Institute's Board of Trustees, as of March 26, 2010. This page was last modified on 20 December 2015, at 18:12.